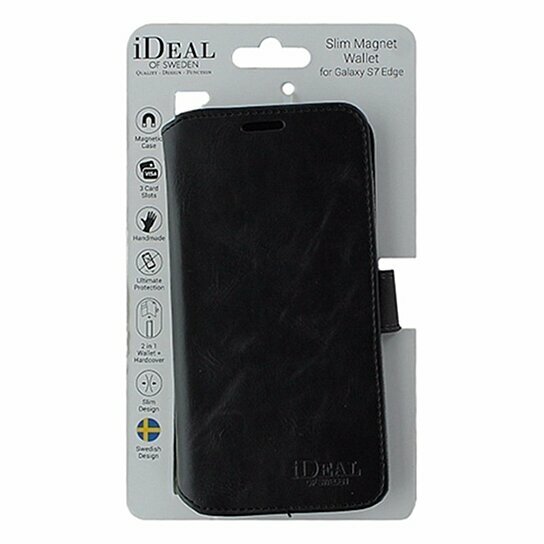 iDeal of Sweden products, Magnet Wallet Case with Detachable Interior Shell for Samsung Galaxy S7 Edge. Black leather finish. Compatible with other iDeal of Sweden Slim Marble Cases. 3 Card Slots. Made by hand. Ultimate protection. Swedish design.